Teachers and students will love their ability to comment on their work and the work of their classmates. When you have "edit" or "comment" access to a document, you can easily add a comment (like a post-it note) right on the document. All you have to do is select some text and click the comment button at the top of the page. You will be able to type a note to the owner. Then your comment will show up and an email will be sent to the owner of the document. The owner will then be able to go into the document and resolve the suggestion. 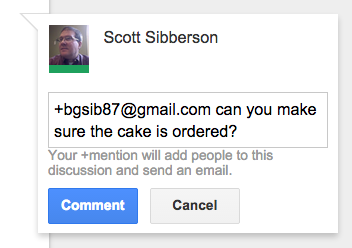 Also, take notice that you can +emailaddress another person to add them to the conversation. 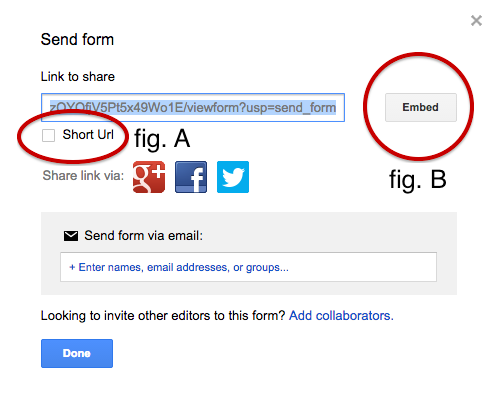 When you + someone, they will get an email, and you will be prompted to alter the share settings for that person. You could add them as an editor, commenter, or just allow them to reply to the comment. Interesting possibilities there. Comments will be an excellent way for teachers to help students edit their work, without having to edit the work for the student. Make suggestions, provide hints, or even create a class code for editing tips. Give comments a try. 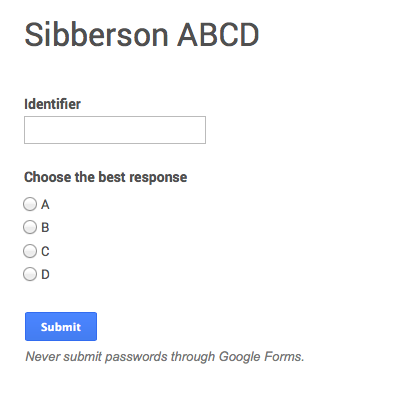 Google Forms has been going through some serious upgrades. I've been posting about them for weeks. 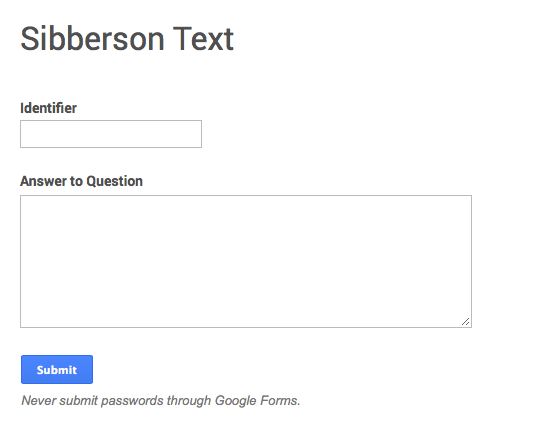 One upgrade I really like is the ability to add your own custom banners to the top of your Google Forms. I would suggest creating one for all of your Forms. That way, your students or colleagues will recognize it as yours. 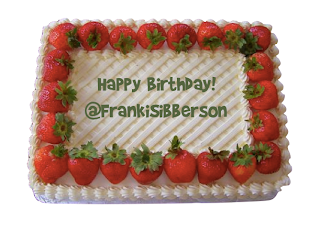 You can even create a little logo to use with it. Here is one that we created for our future surveys. It is a graphic that is 500 pixels wide and 150 pixels tall. You can add your banner by going into the "Change Theme" button. Then looking at the theme list and noticing you can now customize themes. Click "customize". Then open the "Header Image" area and click "Choose Image". You can then upload your own banner. 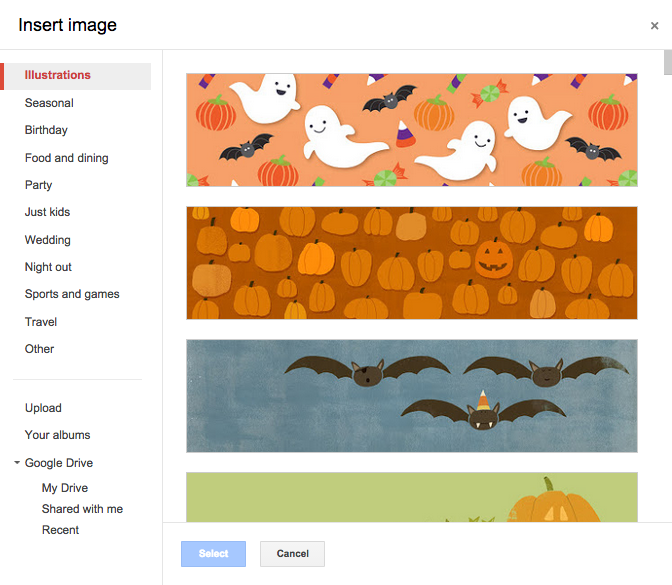 You may also notice that there are a lot of new banner choices that Google has provided. They are even arranged in topics. Some cool seasonal ones are available for your Form use. These upgrades should make data collection fun and interesting. Give them a try! 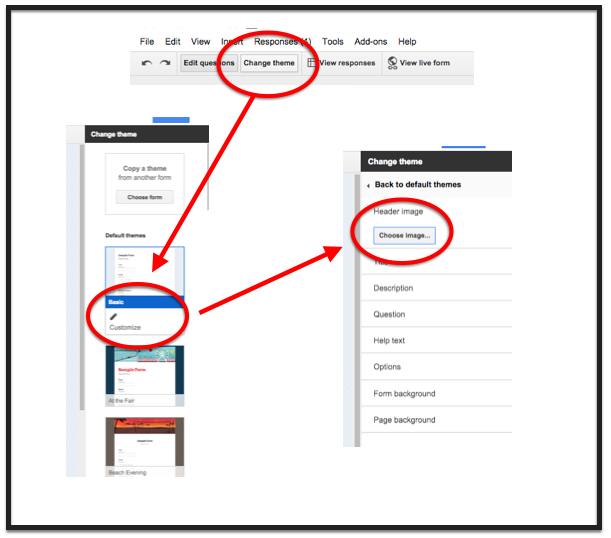 A couple of new features have shown up in Google Forms in the Google Apps for Education domains. Form creators will notice that two new buttons show up in the top selection of settings. First, there is a new "Only allow one response per person" box. This box will allow the survey to only collect one response per "signed-in" user. Since all of the students have accounts, a "one vote" restriction can be activated. This is great so that the responders don't "stuff the ballot box." This would be great for classroom voting? Second, there is a "Shuffle question order" box. This box will shuffle the questions on each page of the form. This might be helpful when creating online assessments. You might also consider putting all of the identifying questions on a page, then putting the questions of the form on a second page or set of pages. That way, the identifying questions stay together and the rest of the questions can "jumble up." It would be nice if you could create the identifying questions and fix their location - but Google will probably figure that out quickly. Give these new features a try. 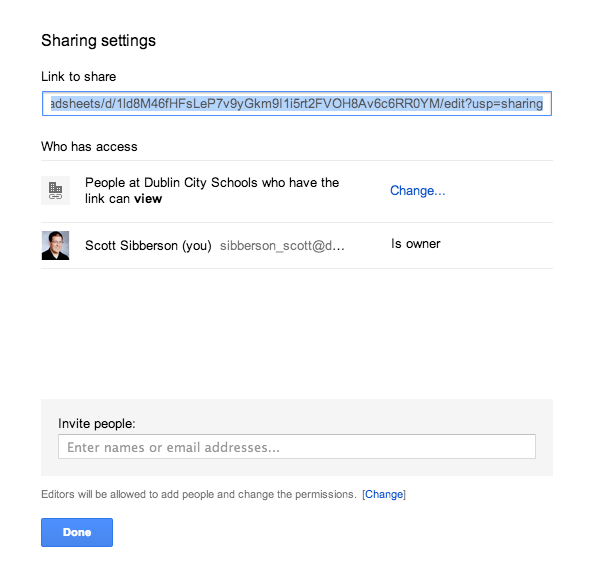 Here is a video demonstrating and explaining the NEW Google Drive Share window. It explains changes seen here. 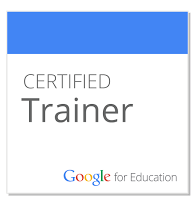 Over the last couple of days, I've been fortunate to be able to test drive the future release of Google Classroom. You've seen some advertisements - click here - and you've seen some video reviews - click here. 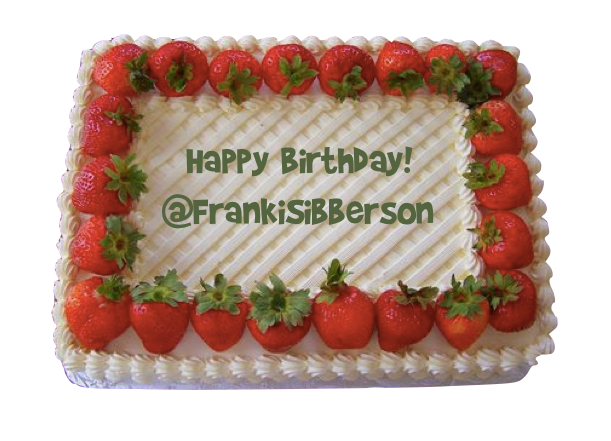 I thought I would share my initial thought with you. 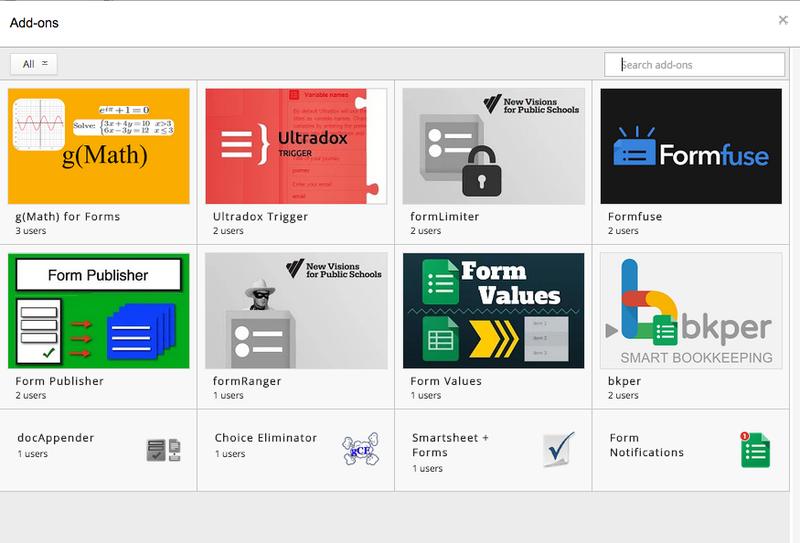 Google Classroom seems to be very intuitive in it's design and ease of navigation. It is very easy for a teacher to create a class. 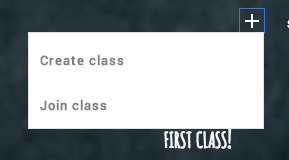 One suggestion I would have is that the teacher name each course uniquely. If you teach multiple sections of Algebra II, you might consider combining all sections into one course or naming your courses Alg II-1, Alg II-2, and so on. The section number you place in the name of the course does not get used in the folder creation, just the name. Here is a picture of how easy it is for teachers or students to add a course. When a teacher creates a course, it is assigned a course number so students can join using the course number. Once the students are in the course the teacher has the task of posting announcements or assignments. This has been made quite easy. The teacher click a selections, adds the information, and posts. 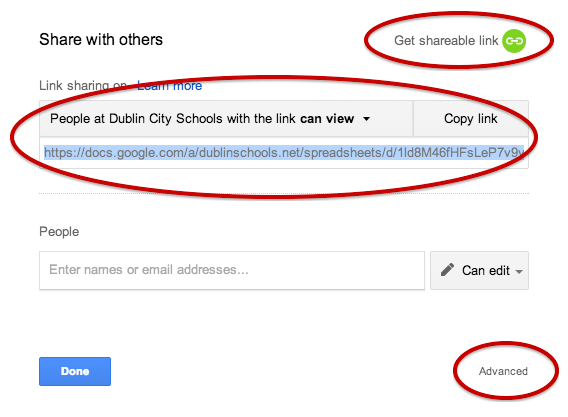 The teacher can attach files, add materials from their own Google Drive, add videos from YouTube, or add links to other websites. See below. 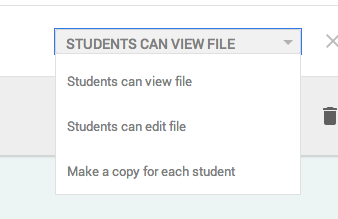 When an assignment is created, Google creates a folder in the teacher's drive (an in the student) for each assignment. The teacher's drive has a new classroom folder and inside it, a new folder for each class, and inside it, a folder for each assignment. This helps with the organization of the teacher's documents being turned in and distributed. Google names the folders with the course name, so pay attention to what the name of you course is - name wisely. As assignments are created, the teacher will have choices as to how to give visibility of the materials. If the teacher wants each student to have their own, they can distribute copies to each student, or they can make things viewable or editable. Google is great about ease of choice. It is a pull-down menu right where the materials are chosen. When the students do their work, they can easily submit to the teacher. The teacher then has a an update on their class timeline, with how many have completed and how many have not, as well as, having a sheet with a list of students and their status. 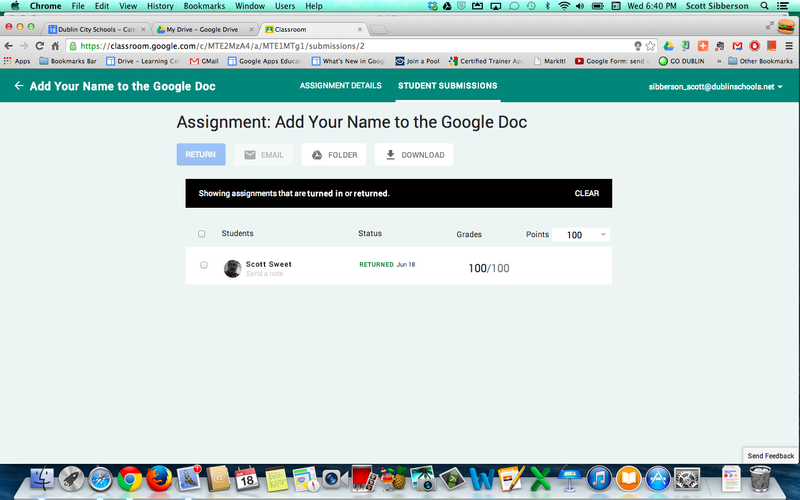 This is where the teacher can add grades, comments, and email the students directly from a class roster. 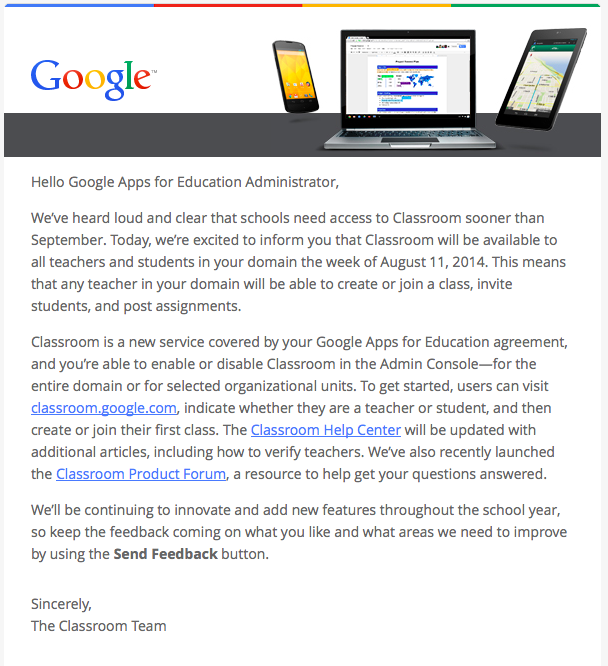 There are a couple of features I'd like to see, but for organization and distribution, Google Classroom seems to be a good starting place for Google. It is not a full LMS, it is just an straightforward way for teachers to work with students. It is not a grade book, your grades must be moved to your current grading program. 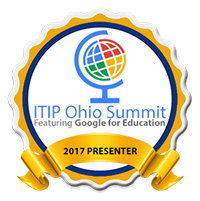 My guess is that Google will add features and this project will grow into quite a nice, easy, and functional way for teachers to utilize Google in the classroom. I can't wait for this to come out in the fall. I think teachers will find it quite useful.